Founded in 1919 by World War I veteran Alfonso Orsi, Orsi’s Bakery & Pizzeria is one of the last remaining icons of Omaha’s Little Italy. For decades, their Italian twist bread and hearty Sicilian style pizza has been a staple of Omaha. During the early years, Alfonso and his family worked in the bakery, with the ovens as their sole source of heat. As the restaurant grew, it became a vivid part of the neighborhood known as Little Italy. In 1949, Alfonso retired and his son Claudio Orsi took over the bakery and ran it until 1987, when his son Robert “Bob” Orsi took ownership. Ten years later, in 1997, a devastating fire gutted the bakery and destroyed the livelihood of the family. However, the supportive community rallied around the family, helping to clean up the rubble and raise funds so that, several months later, the bakery was rebuilt in the same location. In 2006, Bob’s son, Bob Orsi Jr., and Jim Hall, along with their wives, bought the bakery from Bob and continued the business of providing fresh Italian bread and pizza pies in Omaha, NE. They made certain improvements to it, including remodeling the interior to feature Italian Deli and Imported Goods areas to sell fine Italian products that are hard to find in the city these days. In 2010, Bob Orsi Jr. sold his share of the bakery and Jim Hall and his wife, Kathy, became the sole owners, continuing the 92-year-old tradition that has become a lasting icon of the Omaha area. 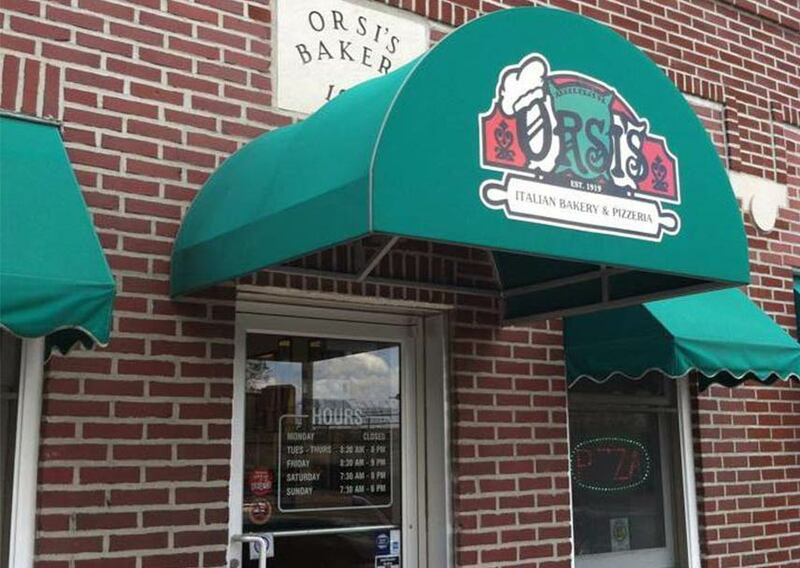 Orsi’s Bakery & Pizzeria has been delighting people for almost a century and continues to be popular with a new generation that enjoys the taste of history that Orsi’s Bakery provides with its genuine pizza, baked goods and goudarooni in Omaha, NE. Give us a call today at 402-345-3438.